urban farmgirl: flea market weekend - woohoo!! I have been waiting...and waiting for my flea market to open for the season! Notice, I say my flea market...but it has become such a part of my life...I feel I can call it whatever I want! 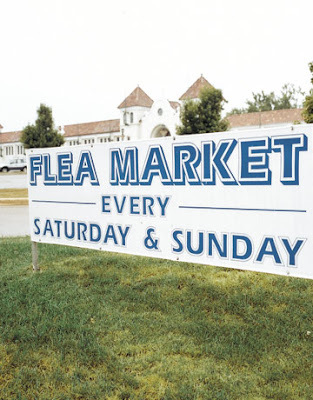 But really, its known just as the Kane County Flea Market in St. Charles, IL. I give 7 months of my year to selling there...but this weekend I am getting my shop on, so watch out girls! I'm bringing my husband...he's got the whole linebacker body style goin' on...so he is going to block for me while I grab what I want to buy. Ok, so he will most likely be standing there with a coffee holding my purchases looking reeeaaaallly bored while I buy more stuff I don't need. 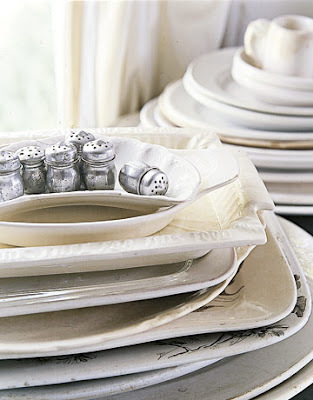 White dishes...all shapes, all sizes...I have a new 8ft wide cabinet to fill lets remember! Oh, and any old metal things...salt/pepper shakers, platters, pitchers...whatever. I want to mix a little in with the ironstone in the above-mentioned cabinet. 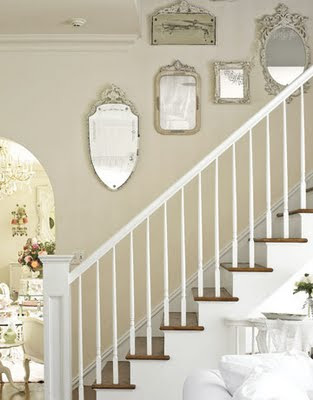 Mirrors like these...I am filling a wall in my entry and need a couple more. Why oh why did I sell all I had last summer. Kick.my.self. Ugh. I will be hunting for 2 of these...why the heck are they so hard to find right now? Not one antique store in my whole town has one. Geesh! 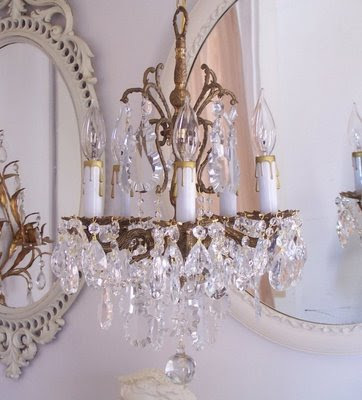 I need one for my office and the other for a guest room reno I am doing. Anyone have one they want to sell?...I didn't think so. And no trip to the flea market would be complete without coming home with a truckload of this...I've got orders stacking up, and I don't like to disappoint! Wish me luck girls! Hope you all get to go to a flea market this weekend! Here in IL it is going to be 50 degrees - WOOHOO!!! It is about time!